A list of other fictional characters Snape-like. Suggestions welcomed! when Harry was born which is a 100% exact date and year. -Captain of the Hogwarts Gobstones Team in her school years. -Described as a skinny girl, not pretty; looking simultaneously cross and sullen, with heavy brows and a long, pallic face. Inference: "a greasy-haired teenager sat alone in a dark bedroom, pointing his wand at the ceiling, shooting down flies� "
This can lead us to believe it was his house as a child. We do not know if this is only a hideout or his real propriety. Speculation has it that Spinner's End may be Snape's childhood residence in a now abandoned run-down Muggle neighbourhood. May date from the weaving and spinning industrial age that ended in the 1960's due to Asian competition. Cobbled streets are often a good indicator of the property's age. Most probable location: North or West Yorkshire, or Lancashire. However, Snape shows no evidence of any local accent. He seems okay with living in such a filthy place in Book6 and doesn't complain about it. Unknown though Rowling did say this: "They (children of wizards) are, as many of you have guessed, most often home educated. With very young children, as you glimpsed at the wizards' camp before the Quidditch World Cup in 'Goblet of Fire', there is the constant danger they they will use magic, whether inadvertently or deliberately; they cannot be trusted to keep their true abilities hidden. Even Muggle-borns like Harry attract a certain amount of unwelcome attention at Muggle schools by regrowing their hair overnight and so on." In Severus' case, since he was so well versed and seemingly practiced into curses and the Dark Arts from the start at Hogwarts, we can presume such a home education took place. Snape enters Hogwarts on September 1st, 1970. He graduates in 1977 at 18 years old. 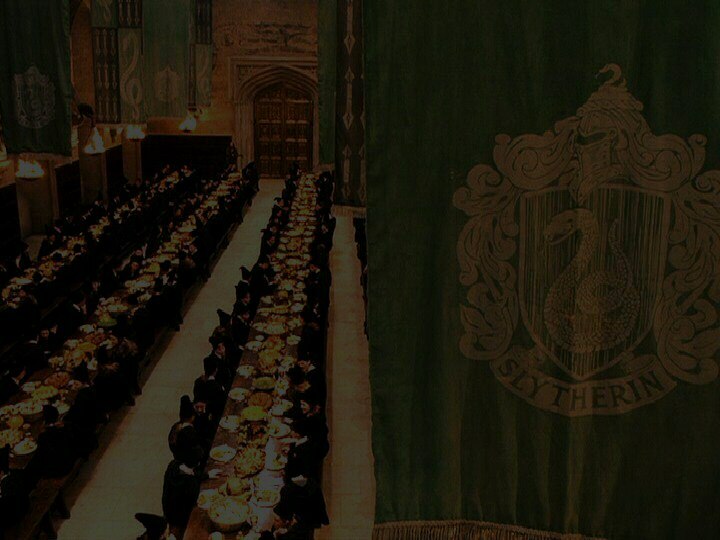 He is sorted into Slytherin House (officiated by Rowling). Professor Horace Slughorn is the Head of House from 1938 to 1980. Lucius Malfoy is entering his 6th year. Body: scrawny boy, stringy (lean), skinny, pallid legs, like a plant kept in the dark, round-shoulders yet angular. Skin: pallid look. By Sirius: "slimy, oily kid"
Hair: Lank (hanging straight and limp without spring or curl) and greasy hair flopping (to swing or move loosely )on to the table, oily hair was jumping about his face. Demeanor/Walk: twitchy manner that recalled a spider. While writing: writes very fast (his hand was flying over the parchment) and very close to the parchment, hunched over it. His calligraphy was minuscule and cramped. Inference: from the state of his clothes and description of his 'dark bedroom', it is safe to assume his family was not rich having nothing else to play with but flies. Health: (inference) good and in good shape. He can easily run up the stairs and can sustain painful injuries (like Fluffy's nasty bite!). When angry, it turns to the color of sour milk, "looked paler than usual"
Eyes: Black eyes with no warmth in them, cold and empty, like dark tunnels, flashing dangerously, fathomless, "black like Hagrid�s, but they had none of Hagrid�s warmth. They were cold and empty and made you think of dark tunnels", "cold black eyes fixed unblinkingly", narrowed eyes when suspicious, "loathing in his eyes"
Demeanor/Walk: prowling kind of walk,gliding over like a large and malevolent bat, "Snape pocketed his wand, turned on his heel and swept back". Inference: stealth because he is often found behind students before they realise he's there. Often seen as a military and/or graceful. Teaching robes: black robes rippling in a cold breeze, there is at least one inner pocket for his wand and at least one small bottle (Veritaserum) though the bottle may be kept in another pocket. Slytherin Quidditch Team partisanship: "Professor Snape sat in the very front row, wearing green like everyone else"
Educational Background: Master of Potions (it is unknown whether he studied as an apprentice after graduating from Hogwarts. Intelligence Level: very clever and educated. His speech patterns also reveals his intellectual aptitudes. Logical! 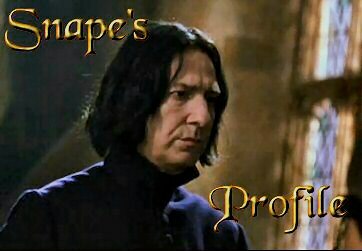 Snape's mere presence is usually enough to ensure a class's silence. Hhe is the only one aware of Harry Potter's pranks or hidden intentions apart from all-knowing-Albus. However, we can suppose his animal is not a weak one because he dared tell Tonks that her new Patronus looked weak. Also, since the patronus could reveal too much about Snape, it somehow entice that it would also reveal too much to the Order members. Is it why some are weary of him already? Or is it the reason why they were shocked when he killed Dumbledore because they never thought he would? Great abilities at wordless magic: "He clicked his fingers, and the ends of the cords that bound Lupin flew to his hands. "I'll drag the werewolf." "Snape had directed his wand straight at James; there was a flash of light and a gash appeared on the side of James's face, spattering his robes with blood." Legilimency (Legilimency is easier when the spell-caster is physically near the target, and when the target is off-guard, relaxed, or otherwise vulnerable. ) Therefore, we can speculate that Snape is always on-guard, not relaxed nor vulnerable when he meets with the Dark Lord or other Death Eaters. He is able to retain his coolness and senses. This is one reason why he reminds us of a well trained military officer. Dueling: very quick and efficient in a duel against someone. Knows the rules and concept of Wizard Dueling. Thestrals: Rowling said it was obvious that he could see them. Hence, he's seen and understood the pain of death. Curses: "Snape knew more curses when he arrived at school than half the kids in seventh year, and he was part of a gang of Slytherins who nearly all turned out to be Death Eaters." Dark Arts: Potter was very good at them and it was said Snape was up to his eyes in the Dark Arts. Snape's always been fascinated by the Dark Arts, he was famous for it at school. Avada Kedavra "Never used an Unforgivable Curse before, have you, boy? You need to mean them, Potter! You need to really cause pain--to enjoy it-- righteous anger won't hurt me for long..." Righteous anger will hurt someone but not for long unless the caster really means it. The same must apply to killing and Imperio. Was Snape serious about killing Dumbledore or was the fall the real cause of his death? He can brew any potions he want, including the very hard to make Wolfsbane potion to allow Remus Lupin to avoid transforming into a wild untamed werewolf come the full moon. Snape rewrote a high school level potions book by himself with much simpler instructions and perfect results, better than the school book. Hence we can assume he is truly a genius at it. However, we could wonder why he never used his own recipes in class. He forgot that book, the Half-Blood Prince's book in the old Potions Storeroom in the Potions classroom. Mental Illnesses: some speculate that he suffers from chronic depressive moods. Snape seems himself much lesser in terms of magical abilities than Albus and Voldemort. He seems to consider it a flaw. "Dumbledore is an extremely powerful wizard,' Snape muttered. 'While he may feel secure enough to use the name� the rest of us�"
Can be very unfair though he sometimes does that in order to require pay back from an offence that went unpunished by someone else. He loses his temper when people disrespect him or contradict him. Not a natural talent at Quidditch. "a girl was laughing as a scrawny boy tried to mount a bucking broomstick" even though he referred for one match, he was not very quick to avoid Potter when he came flying his way which may indicate that he's got no natural talent for it. (Added from a fan e-mail) He represses his emotions, he tends to push others away, and he avoids affection or compassion (even when Dumbledore complements him in front of others, he seems to feign deafness!). His father seems to have been prone to outbursts of violent temper, something that Snape seems to share! He's probably afraid of the damage he could do to those around him. In Book6, his allies on the Light side are null unless someone knows something the members of the Order do not. All the Wizarding World (Ministry, citizens, etc) will consider him a number one public enemy. Deduction from the the movie version: According to Rowling, she mainly used the Celtic wood calendar to determine wand's wood. 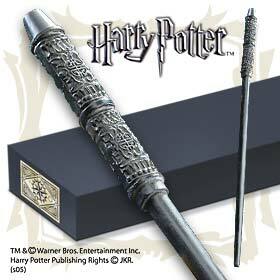 Hence, Severus' wand could be made of birch though it's easy to suspect ebony! Somehow dark, black, hard and heavy wood sounds more like Severus' than black birch which is also called sweet birch and has a pale cherry wood colour! 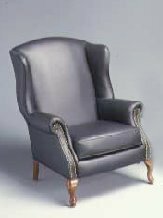 This is a low-arm chair also called a Bergere in French. Snape sat in it in Book3 when Lupin and the class came in the staff room. The other chairs were all mismatched, hence the deduction that this is the type he prefers. Quarters in the dungeons of Hogwarts. Inference: lives on a professor' salary and may get some more for being Head of House. Salary unknown though being a Master, teachers of Hogwarts must not be so badly treated or so we hope. Snape has never been described, as an adult, as wearing torn or old robes. Therefore, we may assume he takes care of that aspect using his money. We do not know if Snape has an house-elf or if he owns a real propriety. He lives in Spinner's End in Book6 (or has been for years) but we do not know if this is only a hideout or his propriety. He seems okay with living in such a filthy place. When reflecting, he once traced his mouth with his finger. May prove an habit. Though he did say once 'You do know why I am giving up my evenings to this tedious job?, therefore suggesting that he has other things to do than being a teacher or guardian at night. If you can't control yourself, than you're other people's food. Seems to hate teaching though I say he simply hates teaching stupid students who won't put in their 100%. Believes most students are dunderheads and exacts the maximum they can give. "But we have another year to go before that happy moment of farewell" "I take only the very best in my NEWTS class"
Hated for his teaching methods and often called unfair. The other teachers always have to remind the kids to refer to him using his title. Uses body language while teaching or expressing his intentions. Snape is introverted and hates being nagged. He is impatient with most people. "Snape was as unpleasant as ever. His mood was further lowered by the DA members constantly approaching him in the corridors between classes, asking hopefully if there would be a meeting that night."